Distilled from Pema Chödrön’s commencement speech at Naropa University on the day of her granddaughter’s graduation, this offering from the beloved teacher and author offers us a gem of clarity and compassion to help us get back on our feet and into our hearts. When her granddaughter was accepted to Naropa University, the celebrated author Pema Chödrön promised that she’d speak at the commencement ceremony. But what if failing wasn’t just “okay” . . . but the most direct way to becoming a more complete, loving, and fulfilled human being? 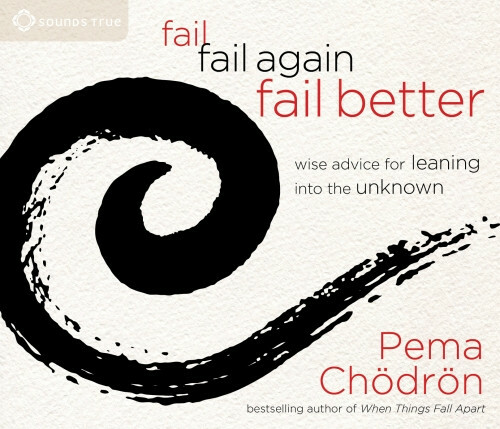 Here, Pema Chödrön offers us her heartfelt advice on facing the unknown—in ourselves and in the world— and how our missteps can open our eyes to see new possibilities and purpose.